In this guide I'm going to explain how to identify infected staff at Mother Base and move them to quarantine. Once you know how to solve the problem you can save yourself some recruits and many tears along the way. 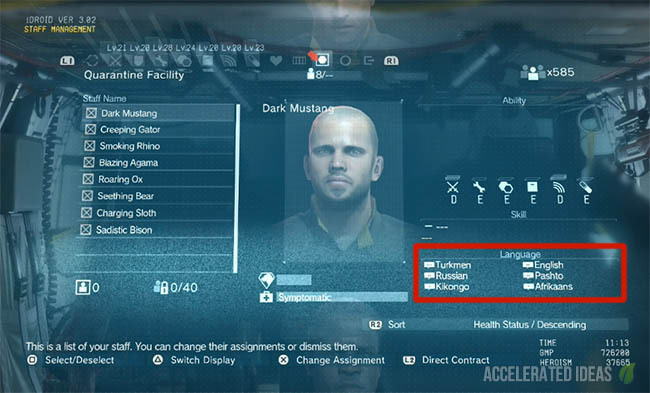 The Phantom Pain really knows how to punish you and this has never been more true until Mission 26. If you've just completed this mission then you'll know exactly what I'm talking about. 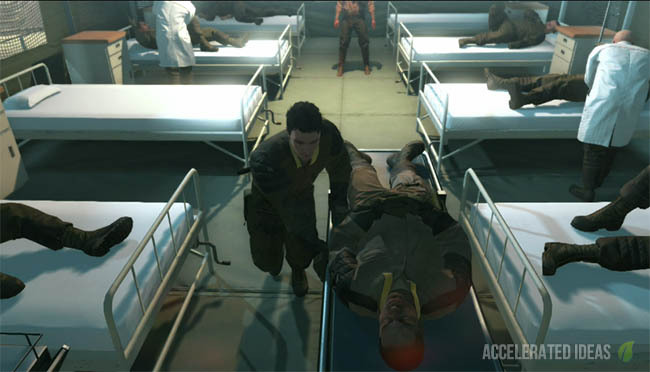 As soon as the reward screen is closed, Mother Base gets in touch to warn you of an emergency, saying that many of the staff are falling ill. At first it seemed like a common cold but before they knew it blisters started popping out on their chests. At this point the Quarantine Platform is constructed at Mother Base. It's now your job to move staff from their Units to the quarantine lab in order to prevent more staff getting infected. As time passes, more recruits either die or are moved to quarantine - either way you lose staff and hence you lose Unit levels. The big problem is that there's no clear way to identify who is infected and who isn't. If ever there was a time to cry then now is the time. Your unit levels are going to drop across all areas. Things like R&D, Intel, Support will drop down forcing you to lose support drops, new weapons and equipment. 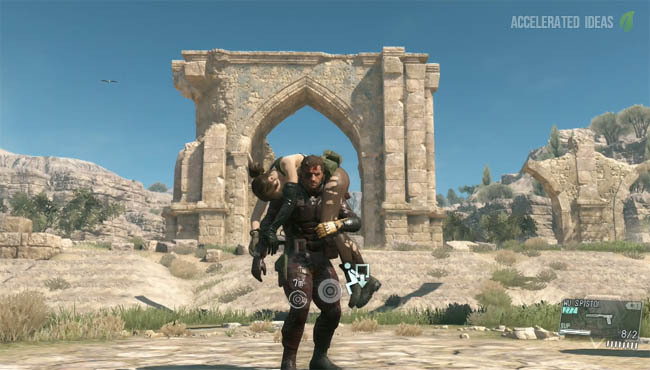 You can ignore this infection and carry on with other missions but I strongly recommend you find the root cause of the problem and stop the outbreak at Mother Base otherwise you'll gradually lose more staff. 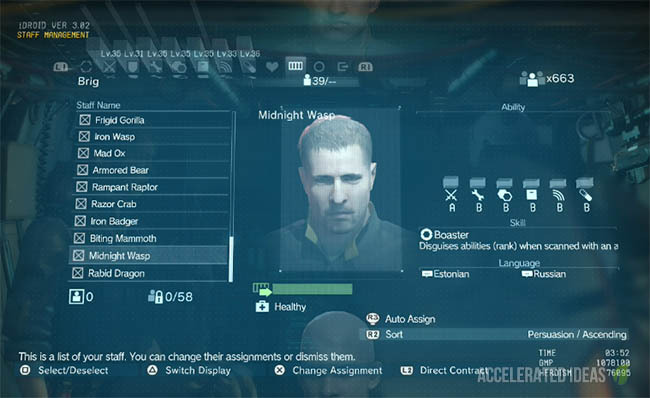 At first I spent a fair amount of time studying the staff lists at Mother Base, looking for clues in the people's faces. Remember Quiet attacked those guards because there was something suspicious about their mouths? She stuck a knife in one of the soldiers mouths, almost ripping out his teeth. Turns out I wasted alot of time doing this because there is no clue in the avatars of the staff. The real clue is in the pattern of infected staff members, in particular the languages they speak. Open the Quarantine section of the Staff Management screen and check each of the staff members who have been infected. As you progress through the list take note of staff that share a common language. See the image above. Anyone who speaks that language is potentially a cause of infection and MUST be moved to quarantine. Until you quarantine every single staff member that speaks that language then you won't stop the infection spreading. For me the language was Kikongo but this may differ for each player so it's worth checking your Quarantine list to be sure. The downside of quarantine is that any rank (skills) that the person provided will be lost. So don't make a mistake and move the wrong person. My list had over 400 staff members which took a fair amount of time to select and move, but it was certainly worth it. I'm not going to spoil exact story details here but let's just say that you will eventually get your staff back from quarantine. Although this won't restore all of your previous Unit levels (because some died) it will still get you close to where you were. In the meantime you'll have to survive the next few missions without some of your favourite weapons and some of the buddy weapons as well. Hopefully this guide has saved you some valuable staff members even if I did lose a tonne of them! !